While working on Style's recent cover story, The Ruins of Richmond, I spent a few hours at Evergreen Cemetery in Richmond's East End. 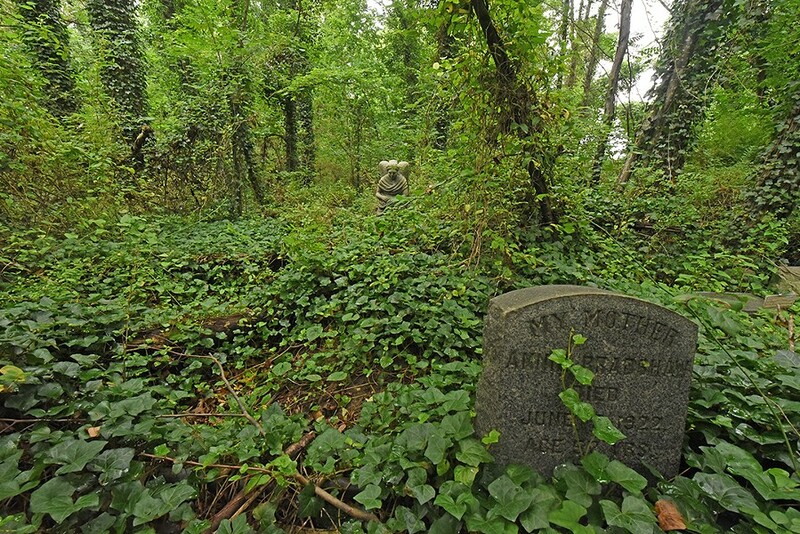 A visit to this cemetery provides for a surreal experience, where thousands of graves are hidden by vegetation within a couple of hundred yards off Interstate 64. The graves, some more than 100 years old, emerge from the undergrowth, silent memorials to the dead and modern-day reminders of those forgotten. I was drawn to this particular grave because of the lone strand of vine that reaches up toward the words "my mother" and to the foreboding presence of the vegetation.